Rope selection for your sail boat…. 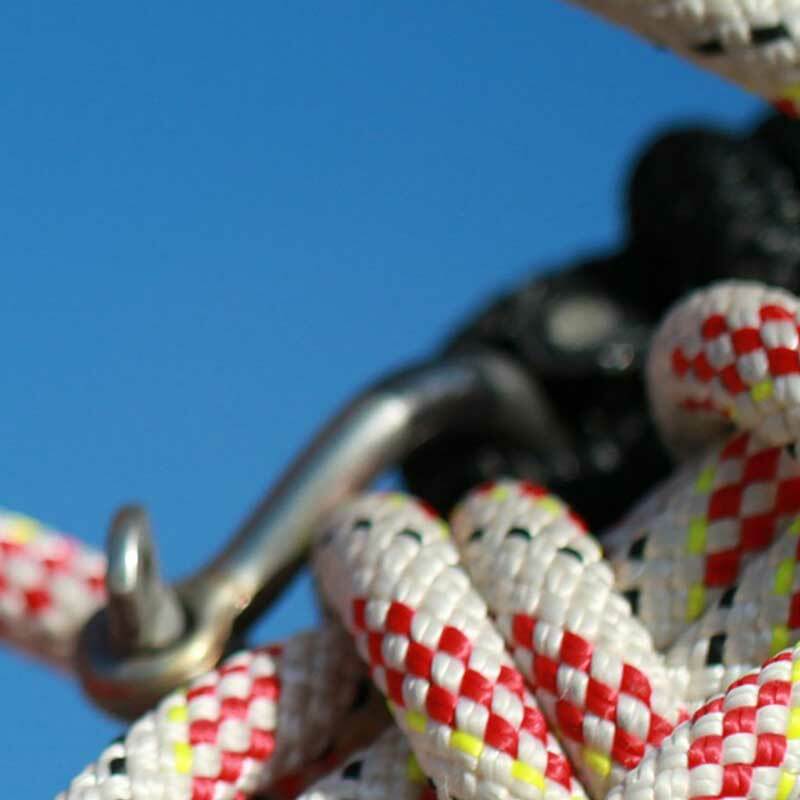 Rope selection for running gear on dinghies relies on several things. tolerance for stretch and weight. Take the mainsheet of a popular sailing dinghy like a Pacer for instance. In a 20knot wind with centre boom sheeting and a four to one block system, the mainsheet load will be about 55kg. Venetian blind chord (VB) of 3mm diameter would suffice except for the handle factor. 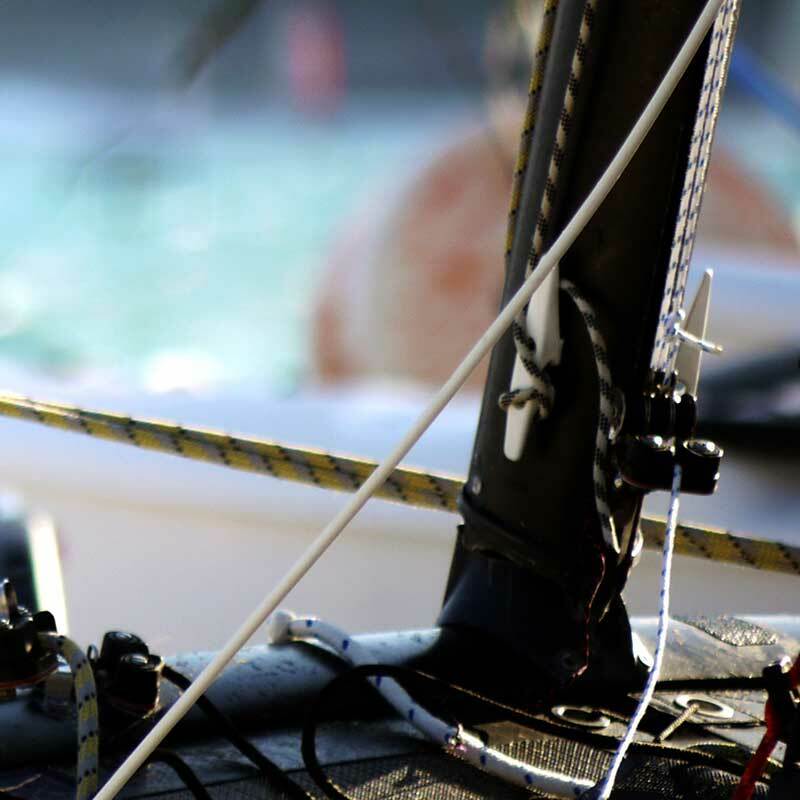 The sailor needs to be able to hold the rope for long periods and be able to cleat it in a cam cleat. 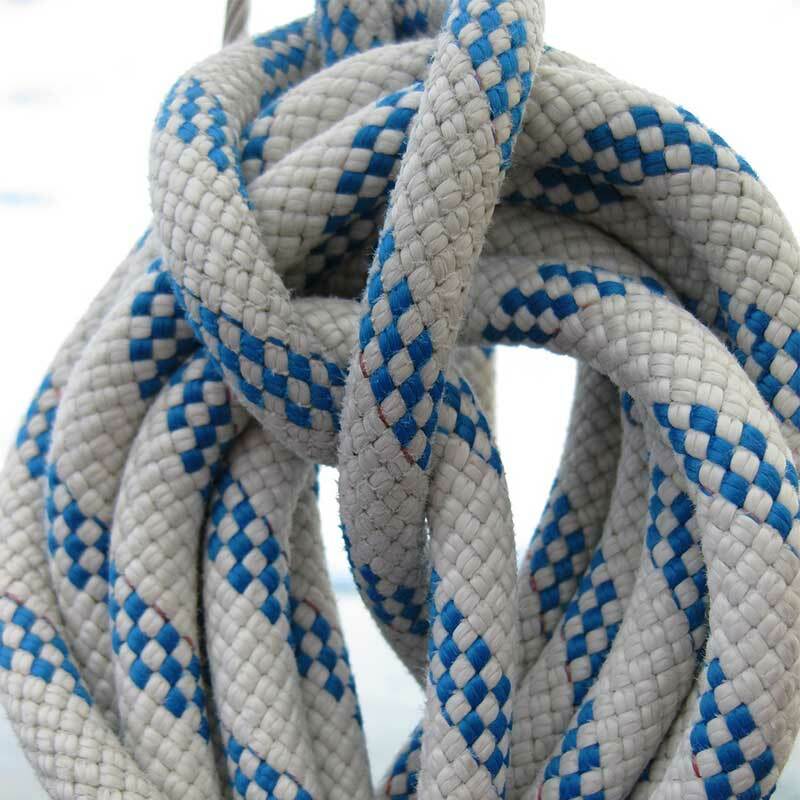 Experience says that the minimum diameter rope that a sailor can hold for long periods is 7mm. The bigger the diameter the easier it gets but as the diameter goes up so does the weight. For a mainsheet that is adjusted all the time as the spars flex to the wind and waves, the stretch is not so much an issue. We have discussed already under the handle factor heading the ability to cleat and hold on to a rope. There are two more. There are times that a rope has to travel very fast through a lead, such as in a spinnaker drop, and if a rope has a habit of kinking it can jamb turning what would be a fast mark rounding into a place losing slide. Single braided ropes have less of a propensity to kink and tangle than double braided ropes (ones with an inner core). 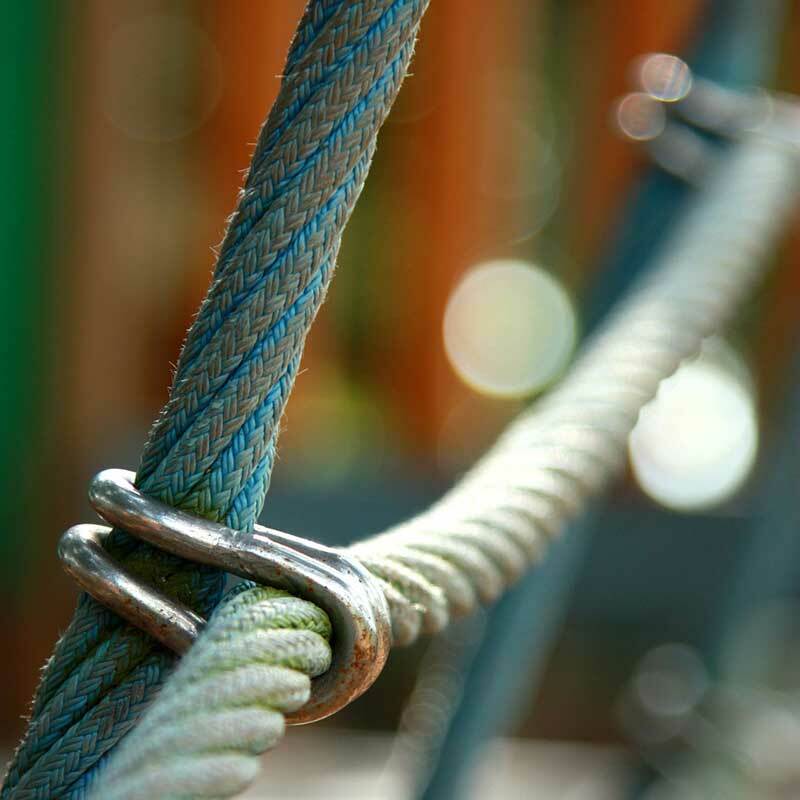 Ropes are often made with a core to either bulk it out making it lighter or where the outer cover protects the inner core from physical damage. Polyester – A great compromise for all of the above factors at a reasonable cost and with good long-term resistance to sunlight degradation. It is the standard to measure other ropes against. Polyethylene – is half the strength and lighter than Polyester. It floats and has a waxy finish which does not score it high on the handle factor. It is typically used as ski rope or anchor line. Its light weight lends itself to being blended with polyester to get a light rope that has good handle factor in applications where stretch is not critical. Aramid – The most well-known aramid is Kevlar but as a rope material, it has fallen into disuse as it has a habit of fatiguing and failing catastrophically without warning. The more likely fibre in a modern rope is Technora. Technora has very low stretch, very strong, the high melting point can be handled, no creep, and is very expensive. Check out our Rope range now or visit our store at Sandringham.